Disaster can strike quick and without warning. Destruction can occur in a matter of minutes or even seconds. The road to recovery can be a lengthy process. Field workers, first responders and victims are all in need of a clean and save water supply. Existing supply sources can be compromised. Therefore it is imperative to get reliable drinking water systems deployed as soon as possible. In many locations, space constraints make it difficult to find a water purification system with a sufficient output that doesn’t take up too much space. The BlueBox units are logistically optimized as they are modular and have a smaller footprint than most alternatives. The BlueBox method is mechanical and does not use any chemicals that may have an adverse impact on the environment. The option to use solar power eliminates the need for fossil fuels. 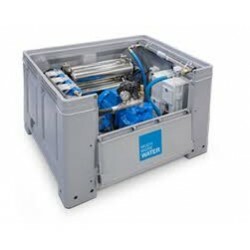 BLUEBOX 1800 UF is an all-inclusive water purification unit delivering an impressive 1.800 litres/hour. 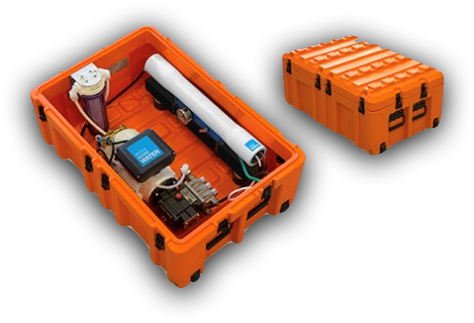 This unit has been field tested by several international disaster relief organizations. The unit has a daily capacity of 43.200 litres. With a self pirming membrane pump. The construction of BlueBox equipment is modular. The large units have been built into ruggedized hard cases for easy logistics like warehousing and trabsportation. The small units weigh under 23 kg, allowing these to hand carried. 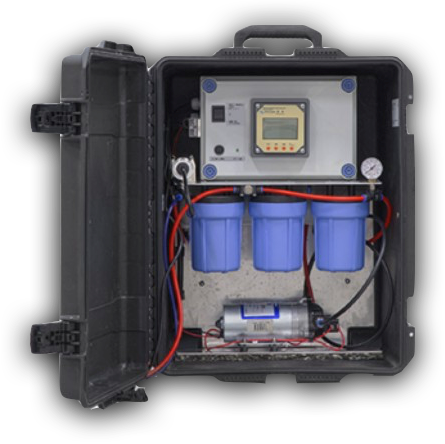 BLUEBOX 30 RO COMPACT is a very lightweight and compact mobile reverse osmosis water purification system designed for smaller groups up to 145 individuals. With a daily capacity of 720 litres clean drinking water. 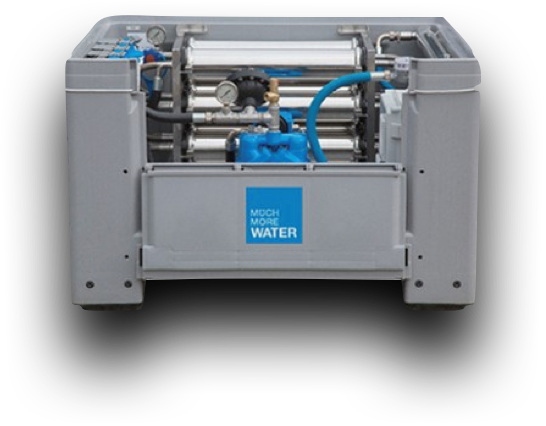 BLUEBOX 60 RO has a daily capacity of 1.440 litres, giving 5 litres of drinking water for 288 people. Runs on internal battery or runs on other sources such as solar power, external battery, and 230V. Set-up time of 10 minutes only. 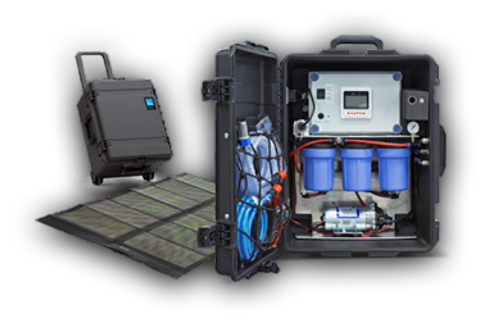 BLUEBOX 70 RO DESAL is particularly suited for military camps and expeditions hfeaturing EMC protection, CBRN filtration and a CHL dosage pump. The unit’s daily capacity is 1.680 litres or 5 litres of drinking water for 336 ppersons. Build into a ruggediuzed weather resistant hard case with integrated wheels for easy transportation.